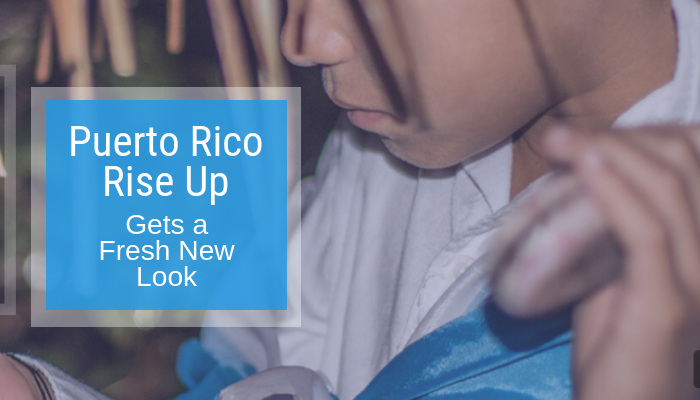 Up and Social is honored to work with Puerto Rico Rise Up in support of their digital marketing goals. One of our latest achievements with Puerto Rico Rise Up is the launching of their newest website, www.puertoricoriseup.org. The cutting-edge look of this new website we’ve developed utilizes brilliant, eye-catching colors that match Puerto Rico’s national colors, powerful imagery that captures the essence of individual power to impact our communities, and a clear call-to-action to educate visitors on how they can be a part of the movement. Puerto Rico Rise Up has a network composed of doctors and volunteers committed to renewing Puerto Rico. In the wake of Hurricane Maria, the strongest hurricane to make landfall in Puerto Rico in almost 100 years, the country has been struggling to get back power, water, medical care, and essential supplies. As the calamity unfolded, in just a few short weeks, the Puerto Rico Rise Up team bridged the different institutions, medical providers, and hospitals in the United States and Puerto Rico to provide medical care, equipment, and medications. This sisterhood is working tirelessly to meet the ongoing needs, many of which surpass their capabilities as individuals. The full restoration of Puerto Rico is a long-term and collaborative enterprise. The hope is that visitors coming into the site will embark on this journey, as it is indeed an opportunity to make a positive, tangible impact on someone’s life. The mission of Puerto Rico Rise Up is clear – to bring help to those in need. There are many organizations and individuals involved in this community wide effort. The new website conveys all this information in an easy to read, easy to navigate manner. The website also includes a description of programs offered, latest blogs, events, and ways to donate or get involved. One of our goals in rebuilding the website was to feature calls-to-action prominently on the site. We installed a non-invasive pop-up to capture emails and contact data for visitors. We also included ‘donate’ buttons throughout the site, and designed the website in such a way that delivers information in a visually appealing way. We developed a website that is organized through a user-friendly interface that allows for easy navigation. The website seamlessly provides detailed information for any type of visitor whether they are Spanish speaking or English speaking. The website features bold images that speak to their strong focus on community impact. One of the features we’re really happy about is the mobile responsive format that makes it easier for people to view their website online with a mobile device. The interactive menus at the top and bottom of the site provides users with an easy way to navigate through a wealth of information about what Puerto Rico Rise Up is doing and how to get involved. This new design combines simplicity and organization to offer an excellent user experience. If you are looking for ways to get involved and make a positive impact to fellow citizens of our planet, check out Puerto Rico Rise Up.